And here we have it… the first plastic purchase for 2014. Inside the lid of a glass bottle of spring water that I bought today. Dangit I was SURE Antipodes didn’t use plastic inside their lids but… as I found out upon opening it (and doing a little “dangitdangitdangit” dance on the street) – it certainly does. Man I’m coming to haaaate on these sneaky sneaky stealth plastics. I managed to find a few out before buying them but gahhh they got me in the end. As a whole Antipodes ARE very carbon conscious, but will still be receiving the letter with their piece of plastic at the end of the month (after it gets weighed and tallied with anything else I bring into the house) because hell… carbon concious AND plastic free is even better. 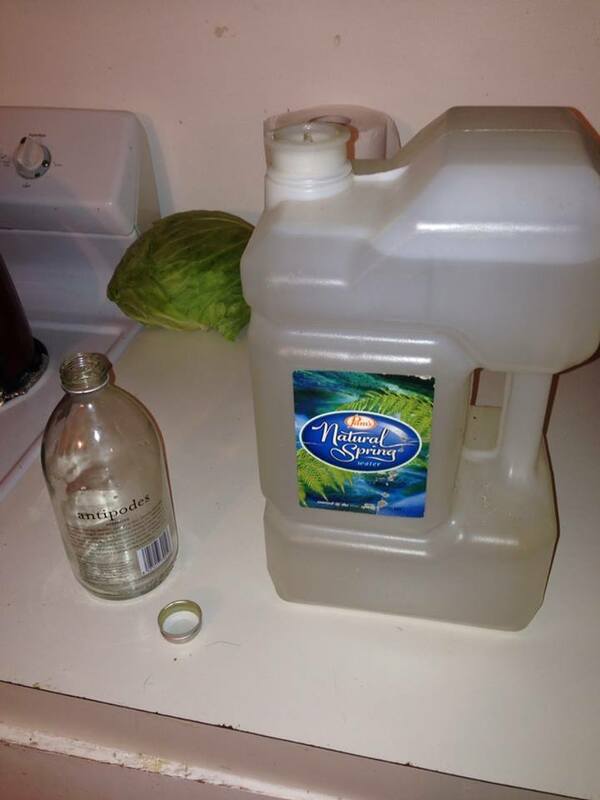 So yeah, that’s a big ole plastic flagon of water – so let me explain. After a big landslide, our water supply has been drastically reduced and the entire city is now on high alert. It's looking like we'll remain on alert for another two weeks, so after digging around in my Aunt's shed we found some plastic flagons and I took them up to the local spring to fill up in order to avoid using the town supply. On the plus side they were recycled, not bought – but still… bit gutted. Right… off to research other options for water! 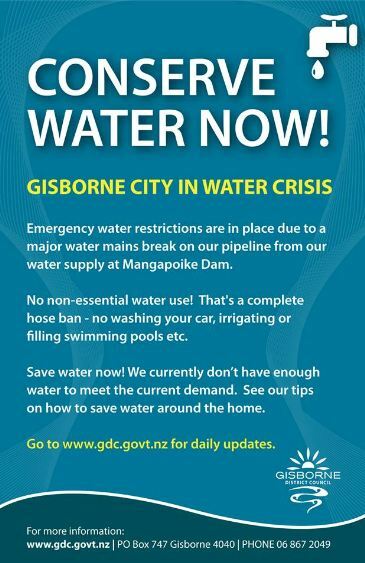 Author Tina NgataPosted on January 7, 2014 February 1, 2014 Categories UncategorizedTags Gisborne, stealth plastic, Turanga, waterLeave a comment on Dun Dun DUNNN!